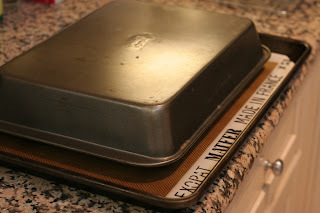 In my last post, I wrote about tweaking recipes in order to make them lighter and/or healthier. In the comments section, fellow Los Angeles food blogger Diana mentioned she often does the same thing, and was recently thinking about trying out tofu as a substitution for ricotta cheese in lasagna (adding that it might be a "crazy" idea!). Not so crazy, Diana (and PS, great minds think alike). 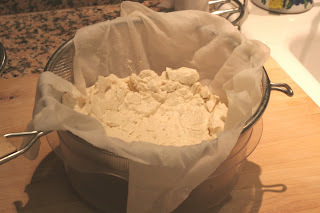 I’ve used tofu as a substitute for ricotta for about two years now, and I’m not sure what prompted me to try it, but I find it works pretty well in place of cheese and other creamy elements in a dish. 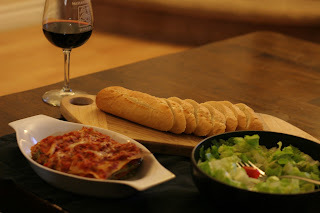 I happened to make lasagna last night, so I figured it was the perfect opportunity to finally post about it. 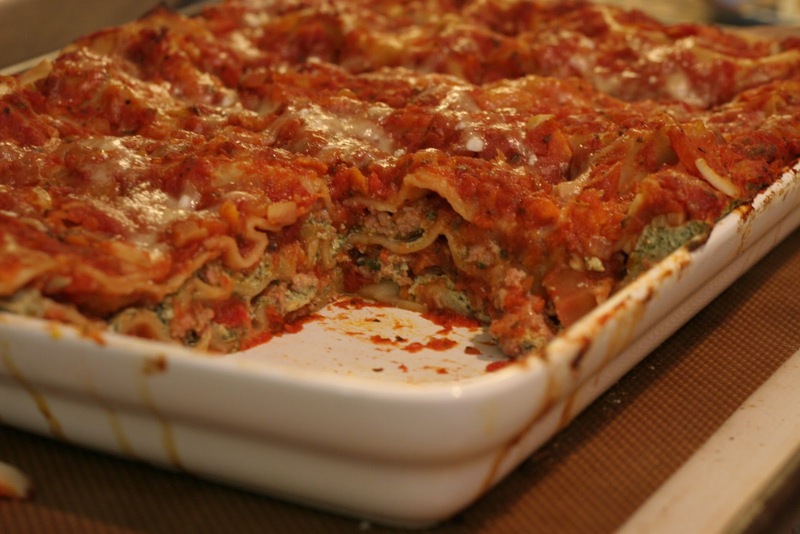 Now, I’m sure there are a few Italian grandmothers rolling over in their graves….although, come to think of it, real, authentic lasagna doesn’t even contain ricotta but instead is layered with béchamel, cheese and sauce, so maybe it’s safe to post the tofu idea here. 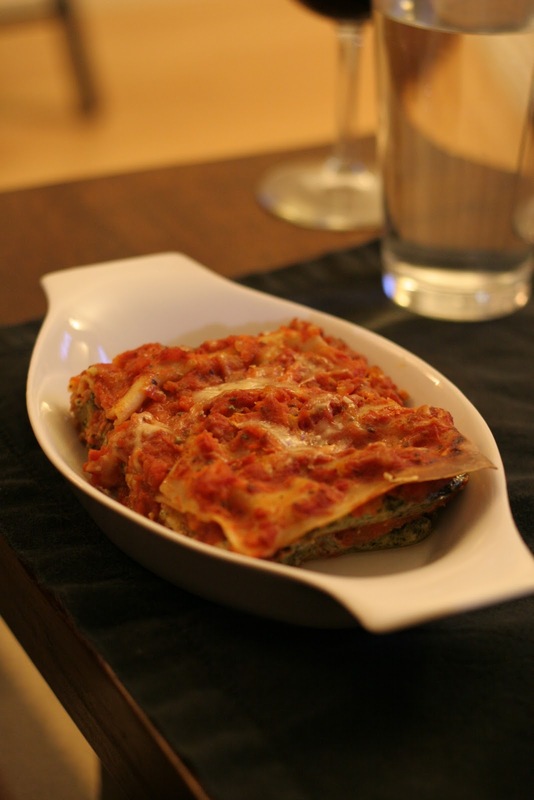 I never did like the thick, brick-like layers of heavy ricotta in lasagna too much but feel it definitely needs a creamy element, so tofu is a lighter yet still substantial way to achieve that. Don’t get me wrong- I don’t always want a lighter version of lasagna, but if I’m making it at home on a weeknight, I figure it’s a good way to watch the calories. 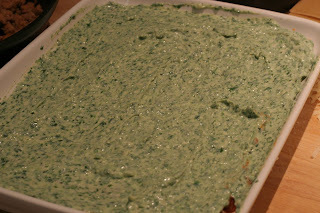 And honestly- it's really, truly delicious and you won’t miss the ricotta! 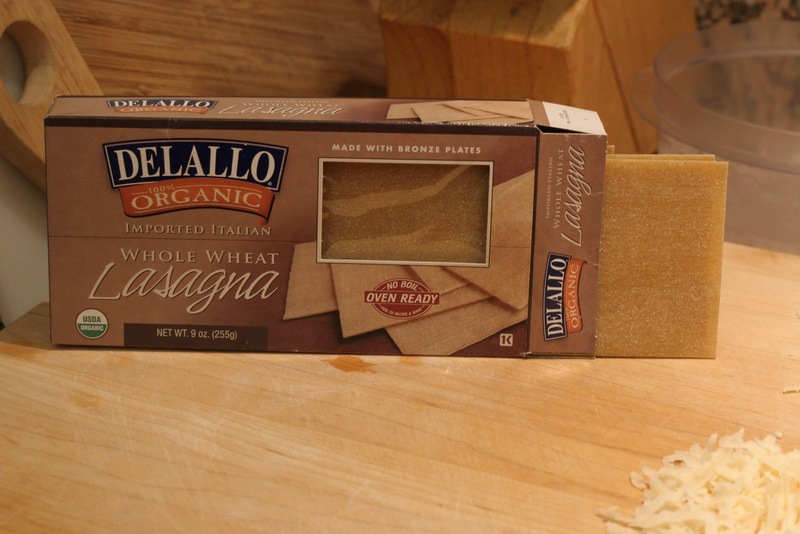 I do use real, high-quality parmigiano-reggiano in this because a little goes a long way, and to me it’s essential in the flavor of a good lasagna. 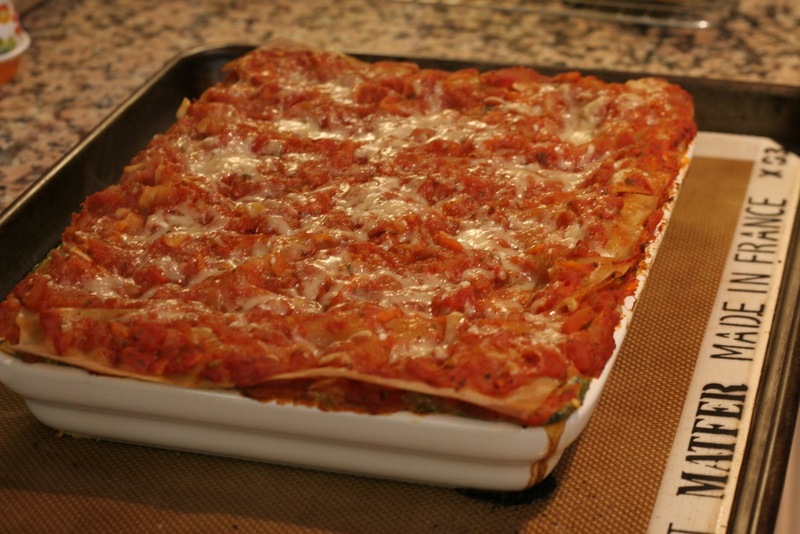 That said, when combined with whole wheat lasagna sheets and fresh marinara sauce, this lasagna is almost as healthy as a turkey sandwich so you won’t have to feel like you’re overindulging. It’s true! There are a couple of important things to remember when using tofu instead of cheese. 1) It requires a bit of planning ahead since you have to strain the tofu, preferably overnight and 2) Season, season, season! Tofu doesn’t have much flavor on its own (ok, it’s basically flavorless) so be generous with your salt and other seasonings. 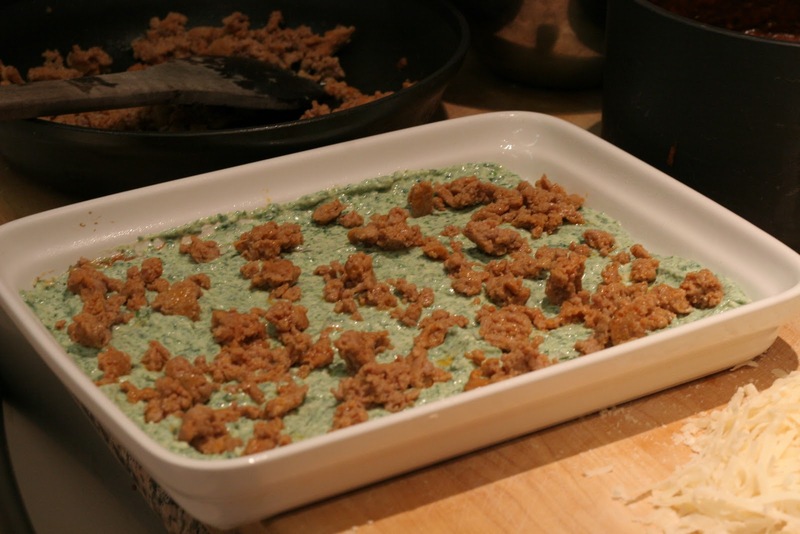 Here’s the list of ingredients, followed by a step-by-step recipe with photos. The night before: Scoop the tofu into a fine meshed sieve lined with cheesecloth or a sturdy paper towel (like Viva). Cover it with the overhanging cheesecloth or paper towel; set another smaller bowl on top to weigh it down slightly and leave in the refrigerator to strain overnight. 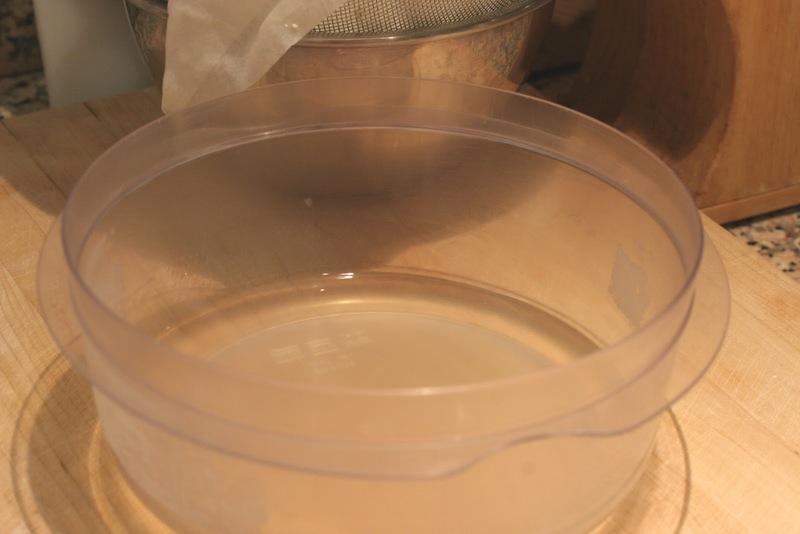 The next morning, you’ll probably have almost a cup of liquid- all drained from the tofu! I'm not sure if you can see all of the liquid in the photo above, but it's a good amount. 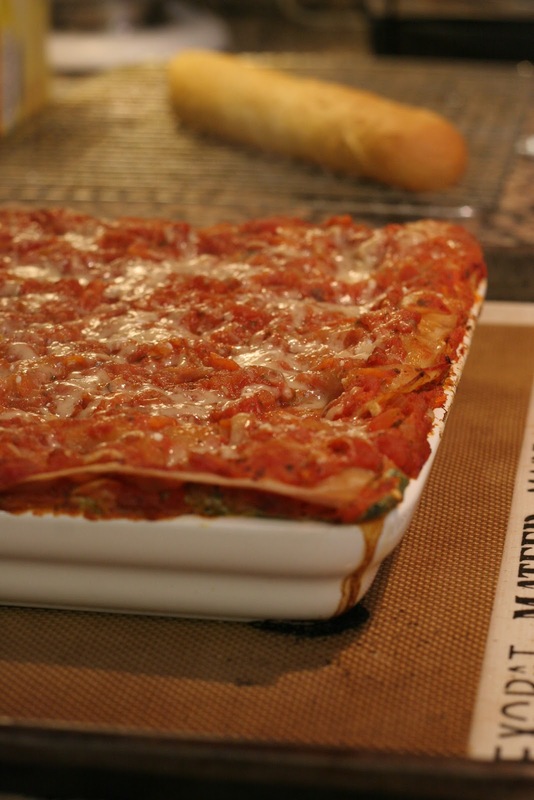 If you don't strain it, all of that liquid will make for a soggy lasagna, and who wants that? 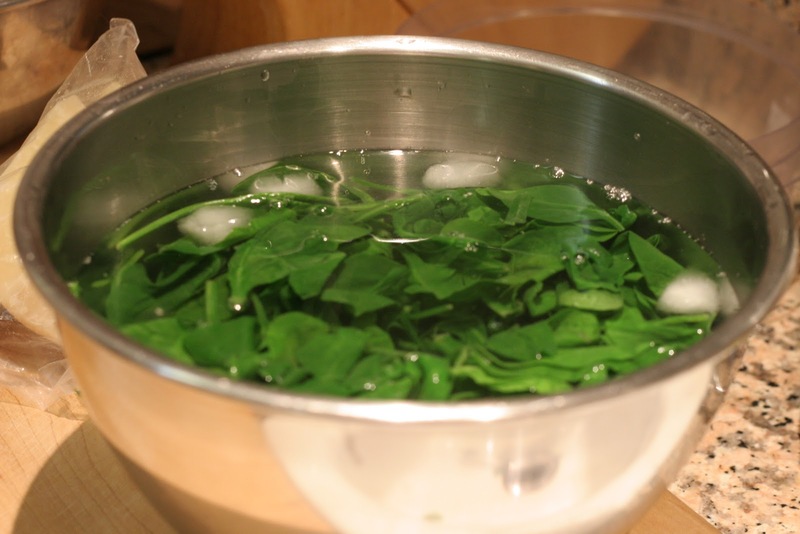 Bring water to a boil in a pot; add the spinach for just 30 seconds, then put the spinach in an ice-cold water bath. Once the spinach has cooled, squeeze out all of the water. 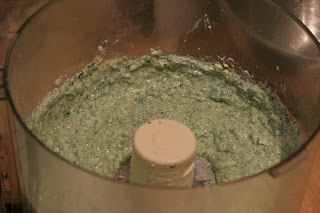 Put the strained tofu in the food processor along with the spinach, half the parmesan cheese, salt, pepper, basil and egg. Whiz until smooth. Set aside. Heat up a medium sauté pan. Take the turkey sausage out of the casing. 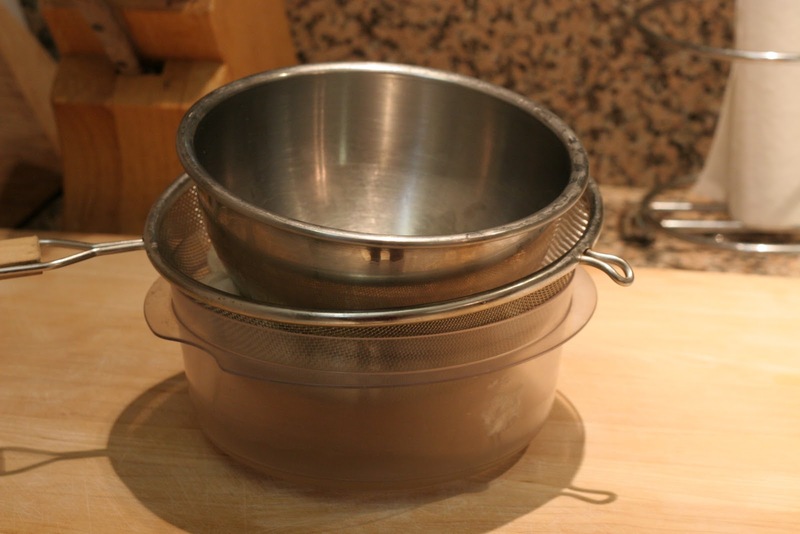 The easiest way is to just slice the casing open with a sharp knife, then ‘unwrap’ the meat inside directly into the pan. 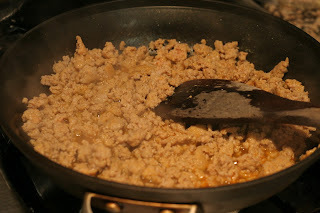 Break up the sausage until it crumbles and is fully cooked; set aside. 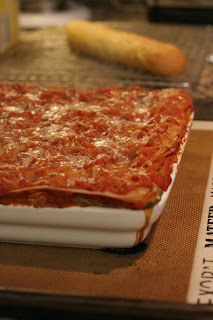 Side note: You can use regular no-boil lasagna noodles, but if you want to kick up the fiber, use whole wheat. I'd never seen whole wheat, no-boil lasagna noodles before (a year ago it was hard to find regular whole wheat lasagna sheets, much less no-boil ones!) but I saw these at Figueroa Produce and snatched them up! They're organic AND whole wheat, taste fantastic and have no grainy texture at all. 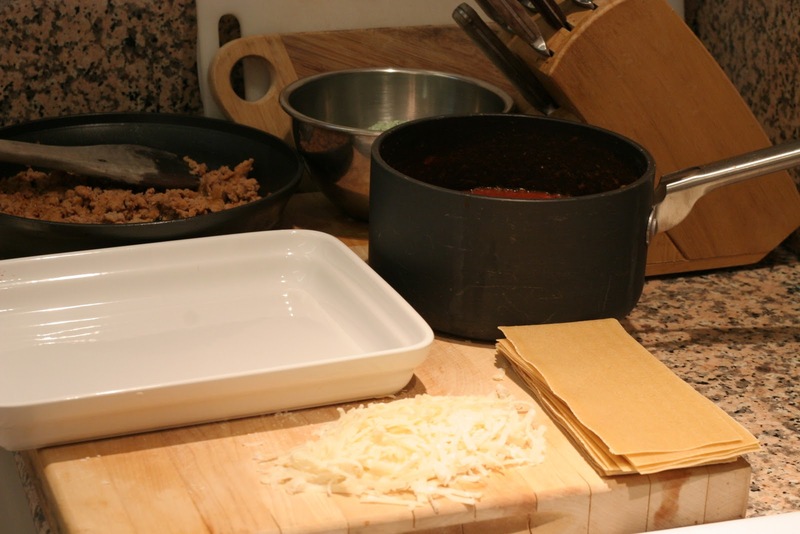 Set up your work station: Line up your 13 x 9 (I used a slightly smaller one) baking dish, the tofu mixture, the crumbled sausage, marinara and remaining parmesan cheese. 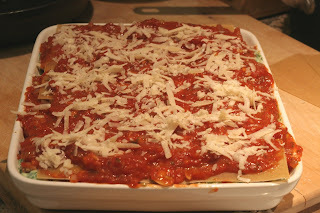 Spray the baking dish and start by putting about ½ cup of marinara at the bottom of the dish. 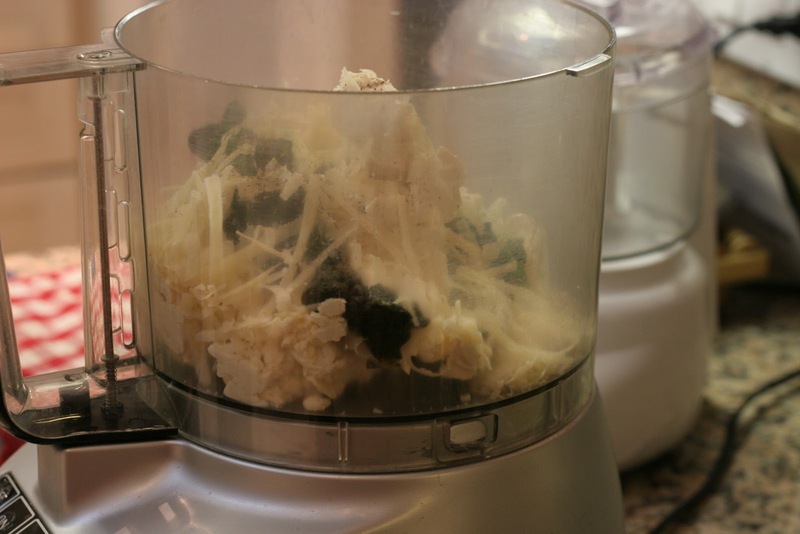 Top with 3-4 no-boil noodles, making sure not to overlap, then top that with about ¾ to 1 cup of the tofu mixture, 1/3 of the crumbled sausage, a light sprinkling of parmesan and repeat until you have three layers. 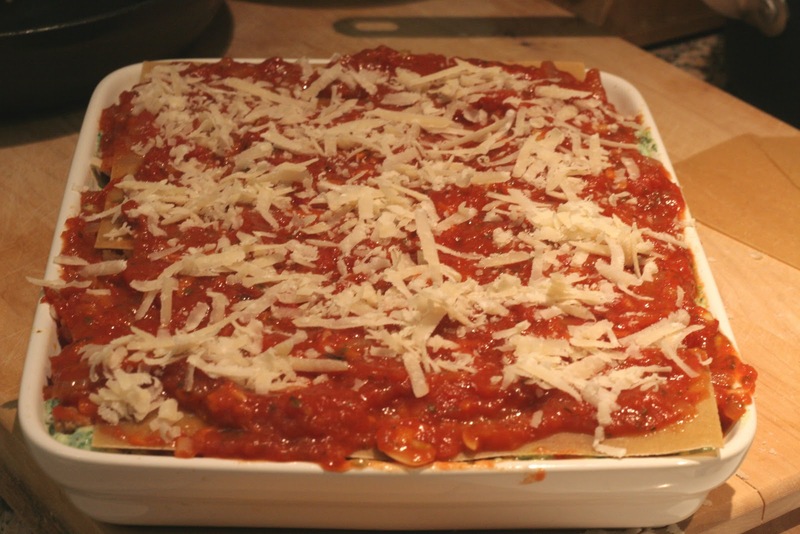 Of course you can make as many layers as you wish; just make sure to finish off the top layer of lasagna noodles with marinara sauce and a nice handful of grated parmesan. I like to leave the corner edges exposed without sauce- even with no-boil noodles, you get nice, crispy edges so I highly recommend you try it that way! Cover the baking dish with foil (or use a bigger baking dish, like I did, since my lasagna was layered right to the very top of the dish!) and bake for 40 minutes. Uncover the lasagna and bake for another 15 minutes until the edges are crisp and the top is golden brown. 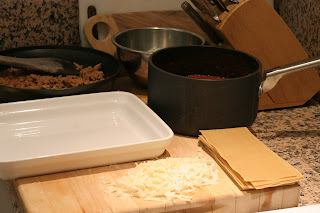 Let the lasagna sit for about 15 minutes before slicing. Enjoy! If you wanted to leave the spinach out and add in more basil to make a more herbaceous tofu mixture, you could do that as well. It's really up to you- if you wanted it to be garlicky toss in a few cloves before processing, or even squeeze in some roasted garlic for a rounder, milder flavor. You can also make it vegetarian by leaving out the turkey sausage, or use pork sausage instead of you have a love affair with The Pig. The only rules you need to stick to are to strain the tofu, squeeze out any excess liquid from whatever vegetables you add and make sure to use the egg (it firms up the tofu layers nicely). If you try this, let me know what you think! Personally, I love this version, and I hope you enjoy it too. Yay! I can't wait to make this! :) Sort of wish I could ex-nay the turkey and taters and do this for Thanksgiving instead! Thanks for posting it! Have a wonderful holiday weekend!